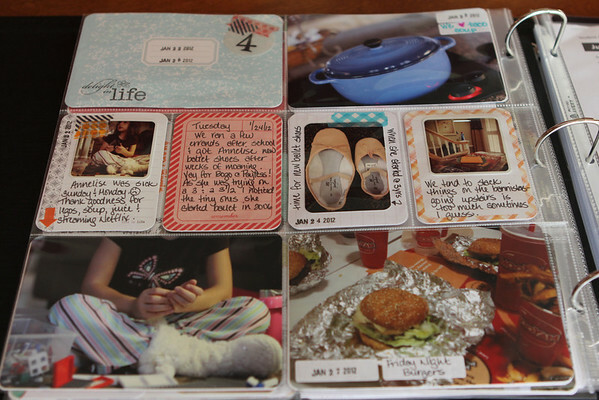 Here we are at week four of Project Life. That's almost a full month my friends. Pardon me while I do a quick happy dance, m'mkay? All righty now. I'm back. 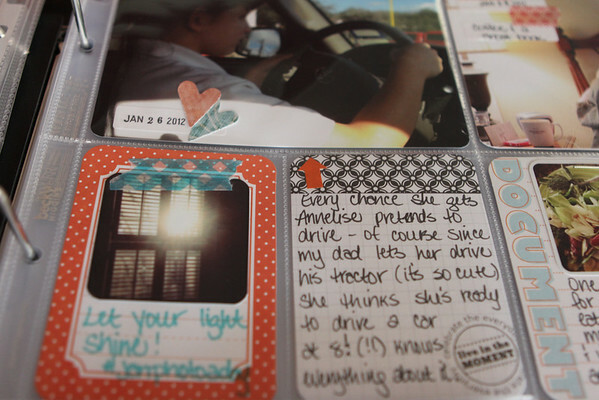 Once again this week I've kept things simple, using only the Clementine core kit cards, a stamp or two and address labels for additional journaling on photos. My *new* thing this week is using japanese wash tape. Here's an overview of the entire layout. See, washi tape. I told you I fell in love with it. 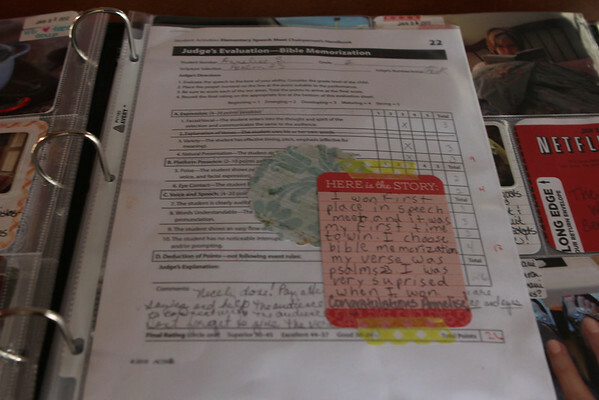 I used a plain 8.5x11 page protector to store Annelise's speech meet results and the journaling card she filled out (she won first place in her category and will get to go to the next level of competition, woo hoo!). 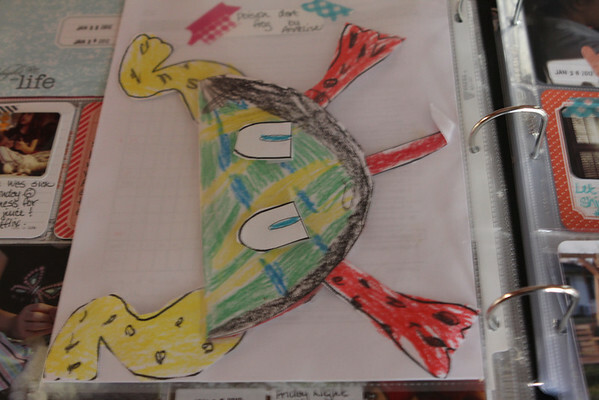 On the back side I added some art from school (a poison dart frog to be exact). It's great to have a place to keep a few papers and/or art that might otherwise have no home (and let's face it, get trashed). A life tidbit this week was to include part of the Netflix shipping envelope. 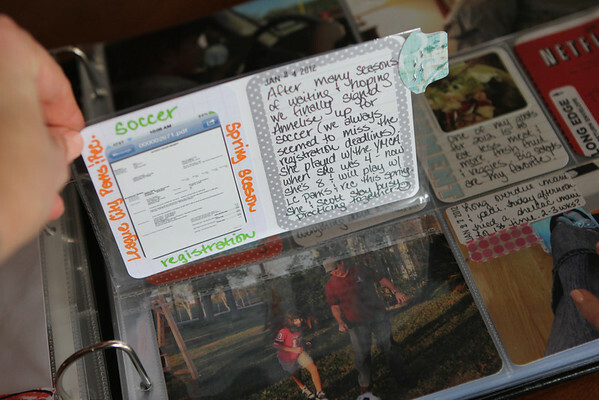 I want to include more things like this (wrappers, receipts, tags, etc.) each week to give a feel for the ordinary stuff that makes up our weeks. Again with the washi tape. I think I have an addictive personality. I used a flip up 4x6 protector again this week. It's so nice to have that option! 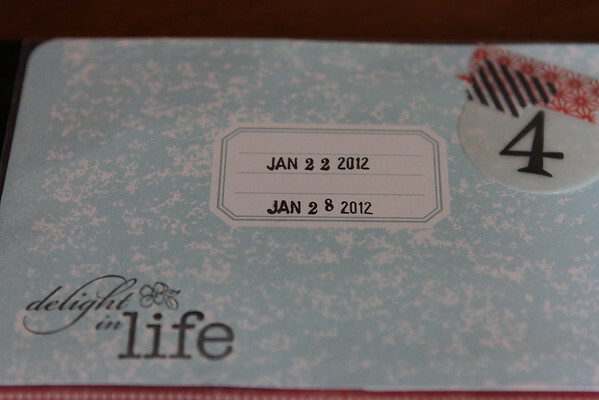 I also added a date tag to the side (made by a Stampin'Up punch). 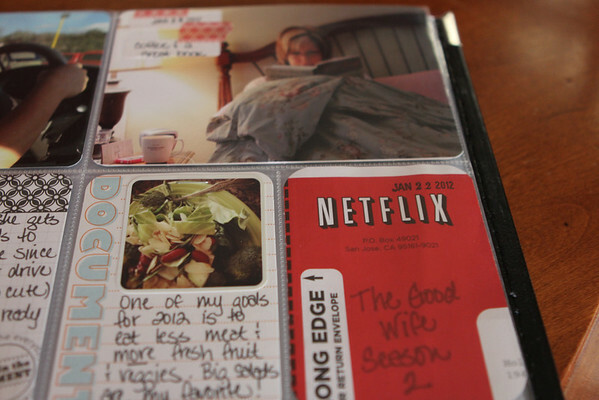 I also like using address labels on photos for extra journaling space. 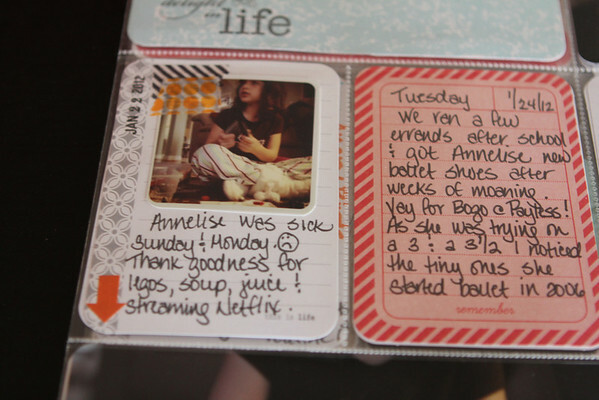 I'm so happy to have almost a month of our ordinary, daily, this & that life recorded. Project Life is, well...awesome. But I suspect I don't have to tell y'all that. 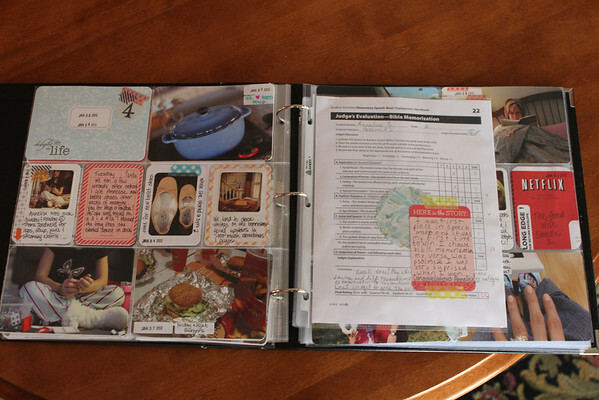 I'm linking up with The Mom Creative again, be sure to pop over there for tons of Project Life inspiration. Oh, my heart. Those ballet shoes. 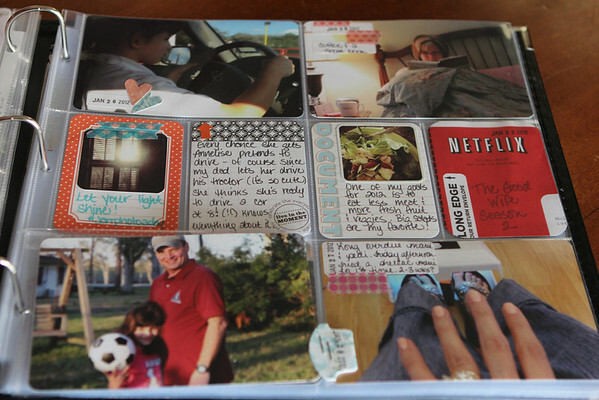 Haha, I totally have an addictive personality and I know as soon as I get my hands on some washi tape I will go crazy. 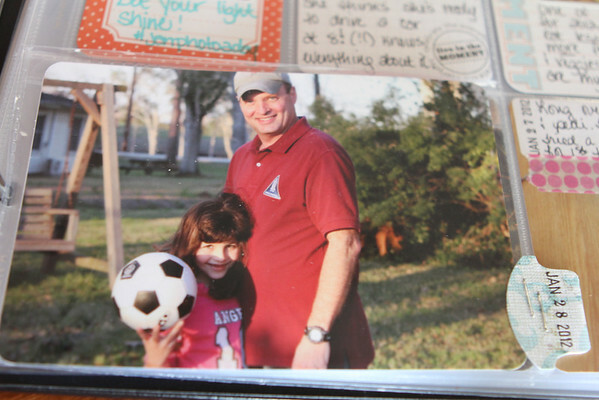 I love the idea of getting your daughter to write on a journalling card, such a great way to involve everyone! Love the way you use those flip up protectors. And the photo of the ballet shoes is so sweet. Love your pages! 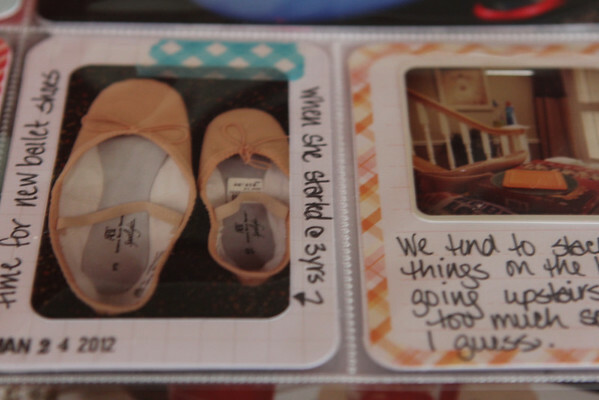 Absolutely love the picture comparison of the ballet shoes...so precious. We also watch The Good Wife, love that show! Books. I Think I Will Read Some This Year.